Genting online casino is part of the Genting Group, an Asia based company that operates land based casinos worldwide but especially throughout Asia and the UK. 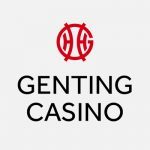 For the past 50 years the Malaysian based Genting Group has been running clubs, casinos and resorts and of the 40 casinos they own, 30 of them are in the UK. Included in their portfolio is the world’s oldest casino, the prestigious and excusive Crockfords on Curzon Street in Mayfair, London. 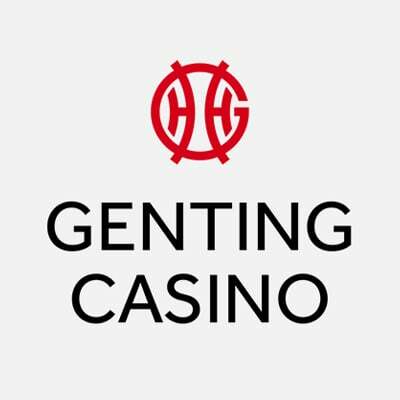 Genting Casino has been operating for 50 years and today has a £33 million market value. Genting’s online casino has over 300 titles made up of table and card games and a variety of live dealer games. Their online casino offering is made up of the industry’s newest games and titles powered by the best game creators on the planet, Playtech, Evolution Gaming, IGT and Novomatic. Genting sports betting platform is powered by FSB Technology, a London based company that provides a platform to some of the world’s largest sportsbooks. When you make your first deposit, you qualify for the Welcome Offer, which is a 100% Deposit Match up to a maximum of $/€1000 and a minimum is $/€10. This means that if you deposit $/€50 you will receive $/€50 to match your deposit. The deposit and bonus of $/€100 is limited by a wagering requirement of 50x. In other words, you will have to play the deposit plus the deposit 50 times before being allowed to cash out your winnings. Genting are also known for their excellent VIP player structure that rewards players the more they play. High rollers have an option called the VIP Welcome Bonus where they make a deposit of $/€3,000 and their deposit is matched with $/€1,000. The required playthrough for withdrawal is 40x the bonus in each instance, which must be played within 15 days. A further stipulation is that the wagering requirements is that not more 20% of the bonus can be made on a single bet. Genting online casino has around 200 games on offer, which makes it one of the smaller online casinos. Although a little smaller, every one of the 200 games are powered by top software providers like Playtech, Evolution, IGT, and Amaya, which means their games are top quality. Playtech is especially well known for their themed slots licensed from Hollywood movies and popular TV shows. If you love superhero action, this casino is worth registering at for some exciting gaming. Look out for a festive Christmassy slot game called Jingle Jackpot, a five reel three row ten payline slot. Created by Novomatic, it holds a Progressive Jackpot as well as great payouts when the Christmas cracker lands on the reels. Players at Genting Casino can play directly through instant play or download the software. The choice is yours but players can get a fuller range of games on the download version, and a better gaming experience on instant play for Mac or playing on a shared computer. Their slot games vary from the very simple three reeled slots to the latest multi reel action packed video slots to some very lucrative Progressive Jackpots which can pay out as much as $/€5,000,000. For Roulette players, there is a choice of American, European and French Roulette games. There are also other Roulette variations like Multi-Wheel, Marvel Roulette, Double and Triple Bonus Spin and 3D Roulette. The online casino also features Lightning Roulette, a game that builds off the standard Roulette game but is lit up in a whole new different way. Up to 5 lucky numbers appear in each round with up to multipliers of 500x on each number. For electrifying wins, random lucky payouts of between 50x and 500x are mixed into the game. If you’ve never tried an online Live Dealer experience, then it’s highly recommended that you do. You can play from anywhere, cuddled up on the couch or even in bed. Live dealer games are very exciting and immersive because they bring the energy and social interaction of a real casino straight to where you are. Play Blackjack, Casino Hold’em, Poker or Roulette, place your bets and chat to a real dealer. Genting online casino also features Live Arabic Roulette spoken in Arabic. This charming game is uniquely personalised for the Arabic market and real Arabic dealers at a real live streamed Roulette table gives the illusion of being in a real and live casino. Powered by Evolution Gaming, world leaders in their field, this is truly a unique gaming experience, if you speak Arabic! For other live casino games, try Baccarat, blackjack and Roulette streamed in picture perfect HD with real dealers and croupiers. You can’t get this close to a real game without having to leave your home, and on this front, Genting doesn’t disappoint. Do you travel for hours to get to work, catch the bus or the train? With mobile play you can pass time on the slots or access your favourite table games. You can find all your favourites across all mobile devices including smartphones and tablets thanks to optimised games for all platforms. You can also choose from a fair share of classic slots like Mega Joker or Sizzling Hot and big jackpot reels like MegaJackpots Cleopatra or Wolf Run. Genting also offers the chance of downloading the casino app for both Android and iOS. You will need iOS 9 or higher and Android 3.X or higher to start playing. For those who don’t want to get involved with downloads, playing the slots through a mobile browser on the go is quick and easy. If you’re new at playing online casino games or an avid gambler, one of the most important decision you will have to make is in selecting a casino that is reliable and trustworthy. Protection of personal details is important and at Genting casino you have that certainty because state of the art encryption technology guarantees you that your personal information and financial transaction are completely protected. Genting Casino is regulated by Alderney Gambling Control Commission and the UK Gambling Commission to ensure that it is completely legal and compliant. Added to this the casino employs the top SSL security encryption to make sure that all of your transactions are safe and sound, as is your financial and personal data. The processing of personal data is protected using ISO27001 compliant procedures, firewall software and hardware and 256-bit data encryption guarantees that your information is well protected. Genting has developed a good reputation for knowledgeable and friendly customer service with a support team who can be contacted 24/7 for assistance. 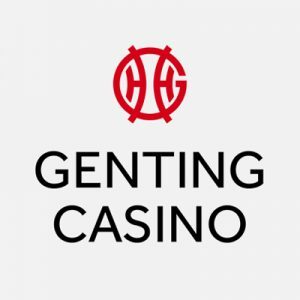 The Genting Casino Live Chat team are available 24 hours a Day, 7 days a week, except Christmas Day). Along with Live Chat, you can also send an email to [email protected] email or request a call back so one of the customer support representatives can get back to you. Genting Casino is at the forefront of the online gambling world. It’s a professional online casino that offers a healthy welcome bonus package. When it comes to layout, platform and massive array of games, this casino performs admirably. Customer support is always available when you need it and security is top of the line to ensure your details and cash are always safe. There are enough games to please everybody. It is well rounded and reputable and with so many years’ experience at land based casinos, their online version does them proud. It is aesthetically pleasing, easy to use and offers well over 300 games of which 250 are slots. The live casino is very popular, the mobile casino is excellently optimised with lots of games and we can’t forget the impressive down to earth sportsbook. The customer support is quick and helpful so you should never be left waiting for too long to get your answers, essential for players when they have a problem that needs to be resolved. If you want to experience one of the best online casinos that has the benefit of being linked to established and well known land-based casinos, then this one is one you must try for yourself.